One cannot speak about the notorious Preventive Detention Act without discussing the now infamous case of Re Akoto. This case is a blotch on the judiciary of this country. It is akin to a cancerous tumour which must be extirpated if ever the opportunity arises. As is well known, this case deals with the arrest and imprisonment without trial of an important and highly respected traditional ruler from Ashanti. Baffuor Osei Akoto was the Chief Linguist of Otumfuo the Asantehene. He occupied a very high traditional office in Ashanti and was well known throughout Ghana. He was the Chairman of the erstwhile National Liberation Movement which started its agitation, in the dying years of colonial rule, to demand what they considered to be a fair producer price for the country’s primary produce, cocoa. Later, as a constitutional structure to insulate the emergent nation from incipient but manifest left-wing centralism with dictatorial tendencies, the National Liberation Movement also demanded a Federal form of government for the independent Ghana. Federalism failed, but Kwame Nkrumah could not forgive those who had championed or advocated that cause. They and other political opponents were systematically targeted and arrested and imprisoned indefinitely without charge and without access to the courts. They had committed no crime, and there was no evidence of planning or contemplating any criminal Act. If there were any such evidence, they would have been prosecuted under the Criminal Code of Ghana. However, applications for the writ of habeas corpus for their release failed on the sufficient ground that they were in lawful custody pursuant to detention orders issued against them under the pernicious Preventive Detention Act. In cases like Re Okine & Others, Re Amponsah & 1 Other, and Re Dumoga & 12 Others, the courts declined to enquire into the truth of the basis of the detention of the Applicants. One court even held that the English Habeas Corpus Act, clearly a statute of general application, was not applicable in Ghana. Although the ruling on habeas corpus was later vacated, it showed the extent to which the judiciary was prepared to pander to the Executive branch of government, meaning Kwame Nkrumah. The courts would not make a value judgment on the Preventive Detention Act but concentrated on the formal validity and apparent legality of the detention orders. When the bogus Constitution of 1960 was promulgated after a questionable referendum, Dr. J. 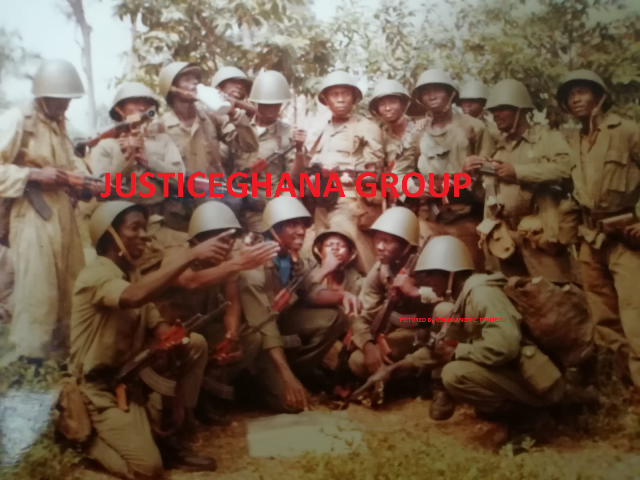 B. Danquah brought to the Supreme Court again the case of the detainees, including Baffuor Akoto and others. This became the celebrated case of Re Akoto & 7 Others. This time the indomitable and learned Dr. Danquah had several strings to his bow. This contention...is based on a misconception of the intent, purpose and effect of Article 13(1) the provisions of which are, in our view, similar to the Coronation Oath taken by the Queen of England during Coronation Service. In one case the President is required to make a solemn declaration, in the other the Queen is required to take a solemn oath. Neither the oath nor the declaration can be said to have a statutory effect of an enactment of Parliament. That statement of the Supreme Court of Ghana was palpably wrong. The Coronation Oath (or Accession Declaration) of the Queen or King of England, though not mandated by a written constitution, is required by statute. At Coronation, the English Monarch is required by the law to declare that “I am a faithful Protestant” and will uphold and maintain those “enactments which secure the Protestant succession to the Throne of my Realm.” These impose enforceable obligations. Thus the Queen of England cannot retain her throne if she abjures Protestantism, or confesses the Roman Catholic faith, or becomes a Muslim or a Buddhist. In any case, the ruling of the Supreme Court on this point showed that the Declaration provided for in Article 13 of Nkrumah’s 1960 Constitution was a great hoax on the people of Ghana to whom it was touted as the equivalent of a Bill of Rights. Dr. Danquah canvassed another critical jurisprudential issue before the Supreme Court in Re Akoto. He strenuously argued that, in detaining a citizen without trial, the President had to state for judicial review the facts on the basis on which he was satisfied that a detainee was likely to act in a manner prejudicial to the security of he state or the foreign relations of the state. In other words, the President could not be satisfied in vacuo on any issue. The “satisfaction,” such as there was, had to be based on established facts or conduct. This is particularly important, as the detainee was not being detained as punishment for past conduct but avowedly to prevent future conduct. Mr. Geoffrey Bing, an Irishman who was Nkrumah’s Attorney-General, urged the Supreme Court to reject that interpretational approach to the meaning of “satisfied” in the Preventive Detention Act. For this position, Mr. Bing relied on the majority decision of the English House of Lords in the well-known case of Liversidge v. Anderson. In that case the applicant, a person of German ancestry, was detained under the Defence of the Realm Regulations during the Second World War in which Great Britain was fighting Nazi Germany. The Home Secretary claimed to have detained the applicant because he was “satisfied,” within the intendment of the Defence Regulations, that the applicant was likely to act in a manner prejudicial to the security of the state. The Home Secretary refused to disclose the grounds on which he became satisfied about the threat posed by the applicant. By a majority of 4 to1, the House of Lords held that the Home Secretary was not compellable to disclose his reasons. Dr. Danquah was unable to persuade the Ghana court to adopt the rather famous dissenting judgment of Lord Atkin who held that, inasmuch as the liberty of the subject was concerned, reasons must be given for deprivation of his freedom. This ground of Dr. Danquah was, therefore, rejected, The Ghana Supreme Court held that in terms of the wording of the Preventive Detention Act, the President could not be compelled to disclose the grounds on which Baffuor Osei Akoto and the others were arbitrarily deprived of their liberty. It was not the best day for the judiciary in Ghana. Before and after the Re Akoto decision by the Supreme Court of Ghana, many commentators have criticised the majority decision in Liversidge v Anderson. The dissenting judgment of Lord Atkin has become one of the most famous in legal history and has been generally commended. A future English Supreme Court (successor to the former House of Lords) is certainly unlikely to follow the majority decision in Liversidge v. Anderson. In fact, in Padfield v Minister of Agriculture and other cases, the English House of Lords unequivocally rejected the majority decision in Liversidge v. Anderson and refused to endorse the proposition of unlimited Ministerial discretion. The decision of the Supreme Court in Re Akoto is a permanent and ugly stain on the reputation of that Court. The judges could have taken a bold and pragmatic approach to the law without being guilty of excessive judicial activism. The Supreme Court failed the nation in this regard and in the process deliberately whittled away even the waning vestiges of freedom of the people. That decision legitimised the arbitrary use of executive power by a President who would eventually declare the country a One-Party State so he could rule Ghana forever. When Re Akoto was decided the way it was, Nkrumah and his advisers apparently interpreted it as an endorsement of the arbitrary right of the deprivation of freedom and liberty of the citizens. With that apparent blessing of the Supreme Court, therefore, detentions by Nkrumah without trial increased exponentially. At the time of the Re Akoto decision in 1961, it was estimated that there were only several hundred detainees in Nkrumah’s prisons without trial. By the time of Nkrumah’s overthrow about five years later in 1966, there were several thousand Ghanaians under detention without trial under the notorious Preventive Detention Act.